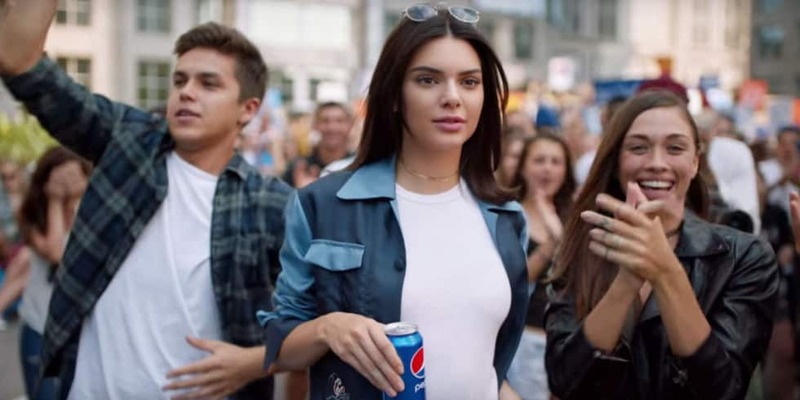 Upon her arrival on Wednesday in Paris, Kendall Jenner covered her face with her arm in the airport; this is amidst the Pepsi controversy which saw her fallout from Pepsi’s protest-themed ad where she took a role of the soda-wielding demonstrator. Making her way through the France Airport, Kendall had black leggings and a large gray sweatshirt on. After heavy criticism of the ad being depicted as one that’s commandeering protest movements and civil rights to sell soda, Pepsi came to a conclusion of doing away with the ad. Despite Kendall’s efforts to stay off the radar amidst the controversy-(even deleting her Pepsi-associated social media tweets,) a source recently reported to PEOPLE that the 21-year-old model wasn’t letting the issue slide off that easily and that she was in contact with his mom (Kris Jenner) asking for advice in regards to damage control. The source said that Kendall always means well and that she would call up her mom freaking out and upset, and her mom just like any other mom would go into mom-mode telling her that they need to do something about it immediately. Dubbed “Live For Now Moments,” the advertisement sees Kendall leave a photoshoot joining protestors in the street. The ad reaches its peak with Kendall sharing a Pepsi can with an officer of the law who upon popping the top and taking a sip gets a massive approval applaud and roar from the protestors. Referred to as “tone deaf” by many people, Pepsi has made a public apology for the ad which also extends to the model. Still, people are of the view that Kendall was a willing participant in the ad which still makes it wrong.